The single Visa initiate in East Africa is a good indicator in the development of Tourism in the countries of East Africa since the initiative will help in increasing the number of safaris to Uganda, Rwanda and Kenya. However, the single Visa project will be hard to implement since there is a high VAT which has been put in place, this will affect the movement of tourists since the costs of movement will be high to all East African countries. This will reduce safari tours to East Africa. 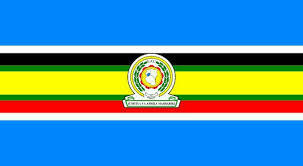 The governments of all the east African countries have to come to a common resolution of reducing the VAT which was put on the visa, this will affect all the countries since there are many visitors willing to cross over to all East African countries because of Tourism, this VAT will reduce the number of safari visits to all East African countries. Tourism always cuts across all other sectors. The hotels which need food from the agriculture sector, the sector also needs transportation and it’s also affected by the energy sector, this means that any VAT will affect the operation of all these sectors hence bringing about reduction in safaris. In addition, therefore, the single Visa is an important imitative which will help in bringing about increased numbers of tourists who come for safaris to Uganda, Rwanda , Kenya and Tanzania, hence helping in the development of the tourism sector in East Africa.